The first construction milestone in INK’s history has been achieved. 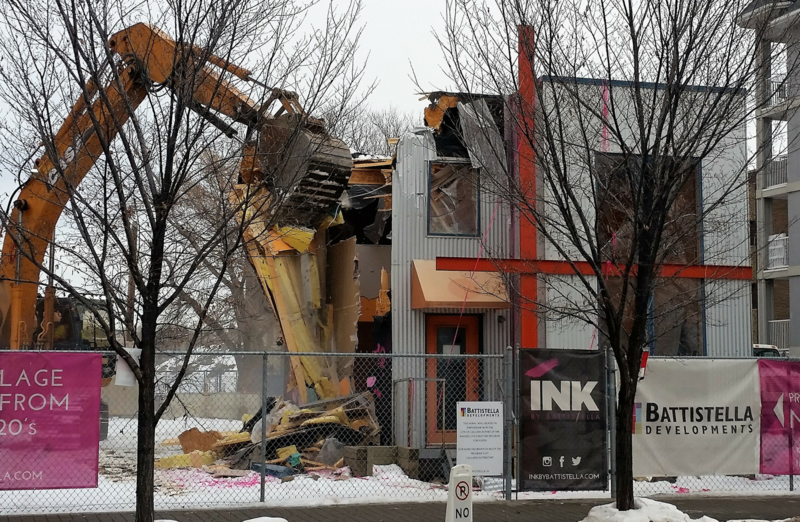 On January 19, 2017, the structure on INK’s site was demolished (with a bang) and the land was cleared to make way for building to commence. For an interesting tidbit of info, the small building stood on site for nearly two decades and was the original sales centre for Battistellla’s Orange Lofts. Check out the official groundbreaking video here. Now that the land has been prepped and cleared, crews and machines will be arriving shortly. Before digging can begin, the entire perimeter of the site must be reinforced. To do this, large holes are drilled by machine and concrete and steel beams are installed (known as shoring). That way when the excavators start digging, there is already a retaining wall built to hold up the surrounding soil. We will be keeping everyone up-to-date via Facebook, Twitter, emails, and blogs. 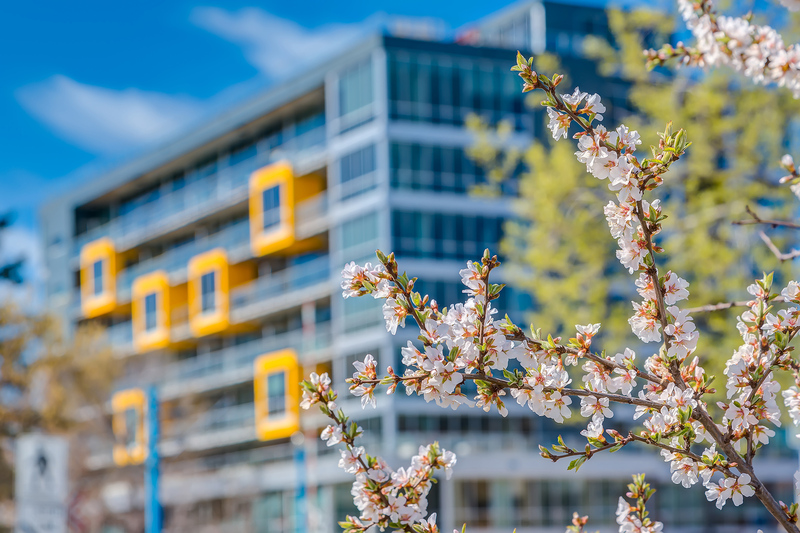 If that isn’t enough of us for you, always feel free to pop by the presentation centre at 108 – 535 8th Ave SE for a visit.